The New 2019 Calendar is now available for download. 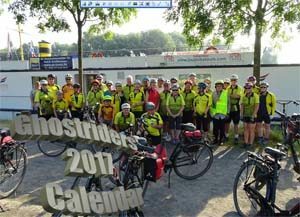 You can download the 2019 Ghostriders Calendar by following the link below. This calendar contains approximately 160 rides and other activities throughout the year. Many rides have been added, revised or moved so the year should be exciting for everyone. The calendar also contains of all Public Holidays and School Terms as well. The 2019 calendar features images from our recent adventures in South America, Spain and Portugal. All riders are encouraged to download their own copy and keep it for reference throughout the year. This is a superb ride along one of Gippsland's best rail trails. The ride will begin in Leongatha at 9.30 am. It is also possible to join the ride at Meeniyan or Fish Creek if you do no wish to ride the full length. Lunch will be at Foster before riding back along the same route. Join us for a special Anzac Day ride along a route we have not ridden before. The starting point will be in Narre Warren North (meet in Ackland park) at 10 am. We will then be following an assortment of bike paths, most of which we have never ridden before. It will be a "journey of discovery" so we might even get lost once or twice, but I think you will find it interesting. April 27, 2019 – Donna Buang eClimb - How far will your ebike take you ? The purpose of this ride is simple - to test your ebike against the sheer 1200 metre elevation gain to the summit of Donna Buang. It will NOT be a race, it is simply an experiment. All riders will start at the car park alongside the Warby Trail at Launching Place at 10 am on Saturday 27th April. We will then proceed conservatively along Don Rd towards Panton Gap. The climb starts steadily about 3 km from Launching Place and then continues unabated for the next 25 km or so. The gradient is around 6% for most of the way. Because of the steady gradient, I figure that each rider can continue up the mountain till their battery drops to around 10 to 15% of capacity. At that point they simply stop, turn around and roll back down to the start. What is the best strategy to get higher up the mountain ? Is it fast and furious or slow and steady ? I have no idea, but that is what we aim to find out. Who can take part ? Any Ghostrider with an ebike (sorry this is an ebike only ride). The back road to the summit is extremely quiet, so you won't have many cars to worry about. Will anyone make it to the summit ? Personally I doubt it, but I could be wrong. The total climb is about 1200 metres over a distance of about 27 km. All riders that plan to take part will need to let me know by Friday evening. Join Karlo on an enjoyable ride around the amazing local bike paths. Suitable for all levels of rider. Meet in the car park at Woori Yallock in time for a start at 10am. All riders will be riding towards Lilydale, before turning back at around 11.15 am to meet for lunch at the Carriage Cafe at 12 noon. Every rider can choose how far they wish to ride. Meet at Woori Yallock Station for a ride along the Warby Trail towards Warburton. The ride will start at 10 am sharp, all riders will ride towards Warburton before turning around at around 11.15 am and then meeting for lunch at the Gladysdale Bakehouse in Yarra Junction. Each rider can choose how far they wish to ride. This is a popular ride that we usually do in November. This year we are trying out a different weekend to help avoid the crowds of summer. The ride will start opposite the Kilcunda General Store at 10 am. If some wish to have a longer ride they could start in Wonthaggi at 9 am and then ride to Kilcunda. The ride will then follow the rail trail to Anderson (which would be a third possible start point), before following the new path to San Remo (fourth optional start point). All riders will then follow the bike path on Philip Island to Cowes. That is where we will stop for lunch before riding back to the respective start points. Why not stop overnight on the Bass Coast and complete the very scenic Bass Coast Walk on the following day ? This is surely one of the best coastal walks in Victoria. We usually do it in November, but this year we are trying out a different date to hopefully avoid some of the crowds. All are asked to first meet in the Anderson car park at 9.30 am so that we can arrange a little car pooling to ensure that we can all get back from Kilcunda to Punchbowl. The walk itself will begin at 10 am. We will walk the 8 km walk along the ocean front, with a picnic lunch midway. After the walk we will celebrate with a coffee at the Kilcunda General Store. Why not stay overnight on the evening of the 6th April so that you can do both the ride and the walk ? Join the Ghostriders for an evening of food and fellowship at the Knox Club. From 6pm. Contact Irene Helmer to make a booking. Meet in the car park of the Mullum Mullum reserve in time for a start at 10 am sharp. 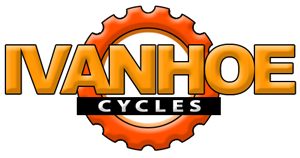 All riders will be riding to Diamond Creek, although there will be two routes to choose from. The ride will finish at around 1.30 pm. Meet in the car park of Woori Yallock station in time for a start at 10 am sharp. All riders will be riding towards Lilydale, before turning around at around 11.15 am and then meeting up for lunch at the Carriage Cafe in Seville at 12 noon. All riders can choose how far they wish to ride. Donna Buang eClimb - How far will your ebike take you ? Now is the time for us to return to ride the Wangaratta to Bright Rail Trail, surely one of the best trails in Victoria. The sealed surface makes it suitable for any type of bike and for most levels of rider. The plan will be to drive up to Wang on Saturday 4th May, stay overnight in Wang on the Friday evening (recommended hotel Warby Lodge Motor Inn), then ride the trail to Bright on the Sunday. After an overnight stay in Bright on Sunday night (recommended hotel High Country Motor Inn) we will ride back to Wang on the Monday. Each rider will need to pack lightly for the Sunday evening so that they can carry their needs on their own bikes if necessary. There is a chance that we may be able to arrange a car to transfer a small amount of luggage, but this is not guaranteed. Watch out for more details closer to the date. Copyright © 2019 The Ghostriders. All rights reserved.